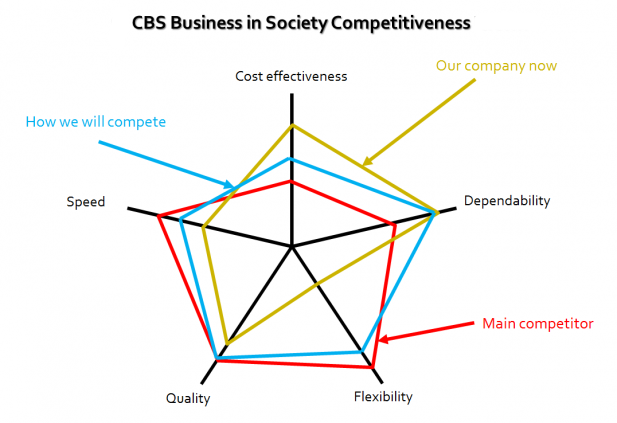 Read more about CBS Competitiveness. Competitiveness is a major issue: The competitiveness of firms in a rapidly developing global competition is of paramount importance for the society and its development. Therefore, CBS is making major investments in developing research, education and enhancing public debate and understanding in the complex field of what makes firms competitive. CBS Competitiveness is a cross-departmental network for research and dissemination on Competitiveness in Industry and Society. CBS Competitiveness is engaged in activities and new initiatives to research education and dissemination related to different perspectives on firm competitiveness. By pooling knowledge on the area we not only enrich the teaching and research further, but we also make a concerted effort to take an active part in and influence the public debate on firm competitiveness with new intriguing insights. In short, CBS Competitiveness brings knowledge and ideas to business firms and to society as a whole. CBS Competitiveness is a network coordinated by Professor Christer Karlsson, Professor Thomas Ritter, and Project Manager Christina Merolli Poulsen.